Happy Monday! 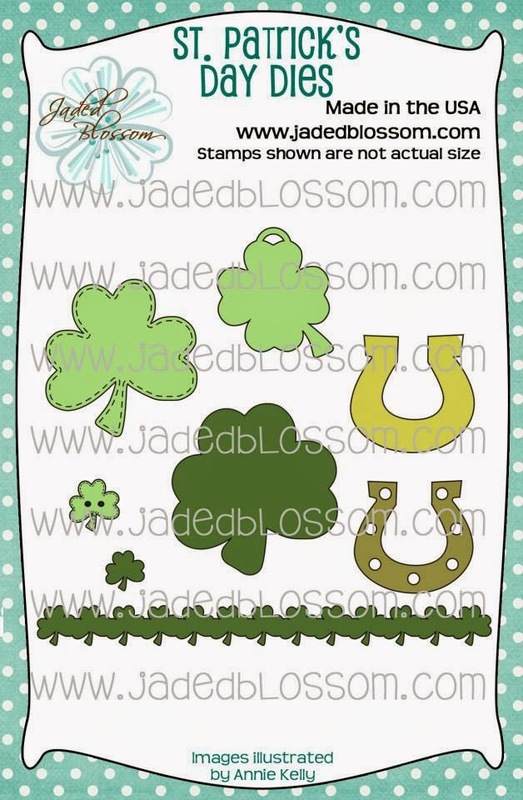 And it's a Jaded Blossom stamp release week!! 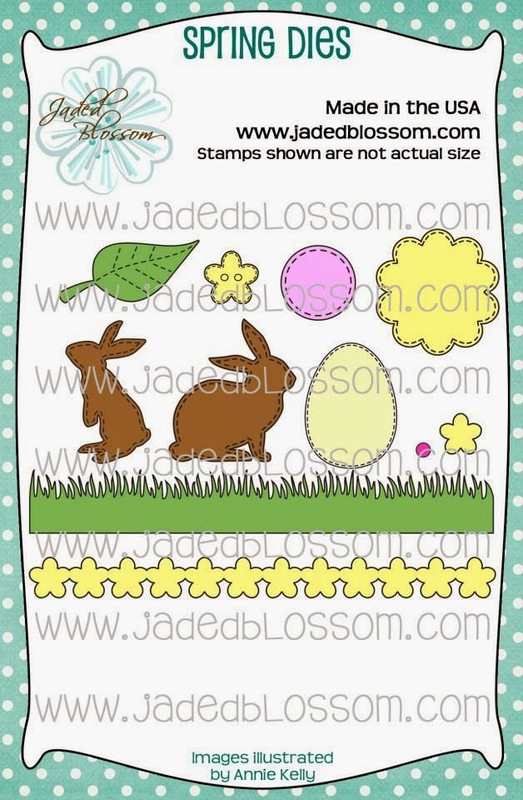 And here is the second card I made. 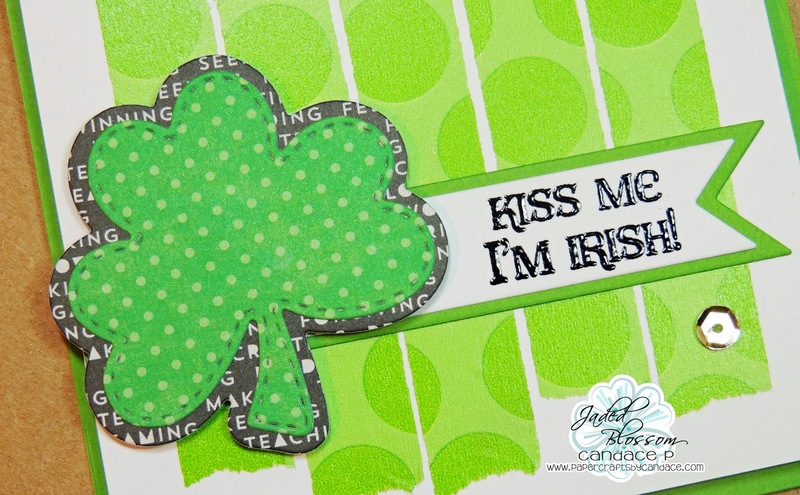 The sentiment is from Lucky Treats and I again embossed it on the Flag Dies. Awesome cards! Love how you used the news dies! Love these cards! The washi tape looks awesome! 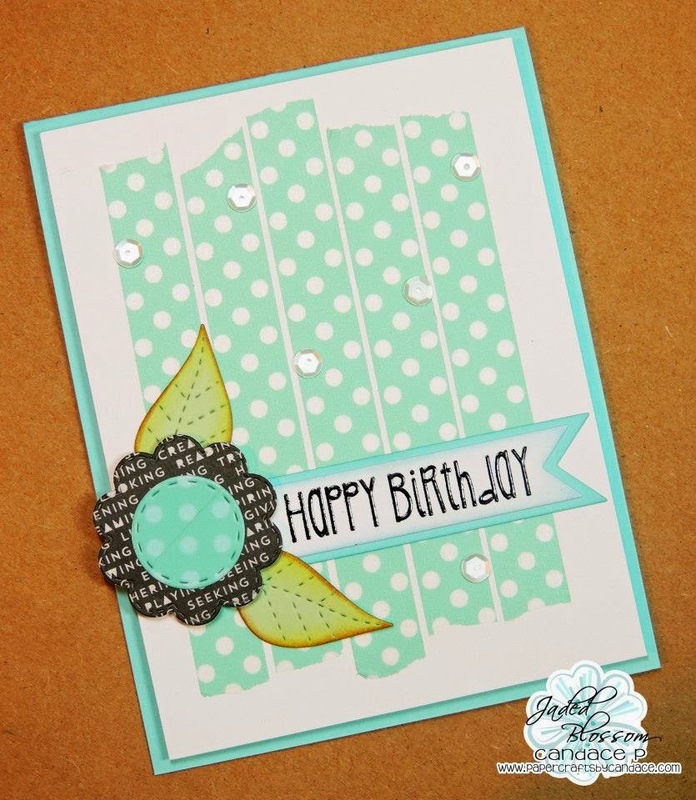 Love these cards and the washi tape on the flower center to match is very clever. both these cards are awesome!!!! Love the new dies!!!!! 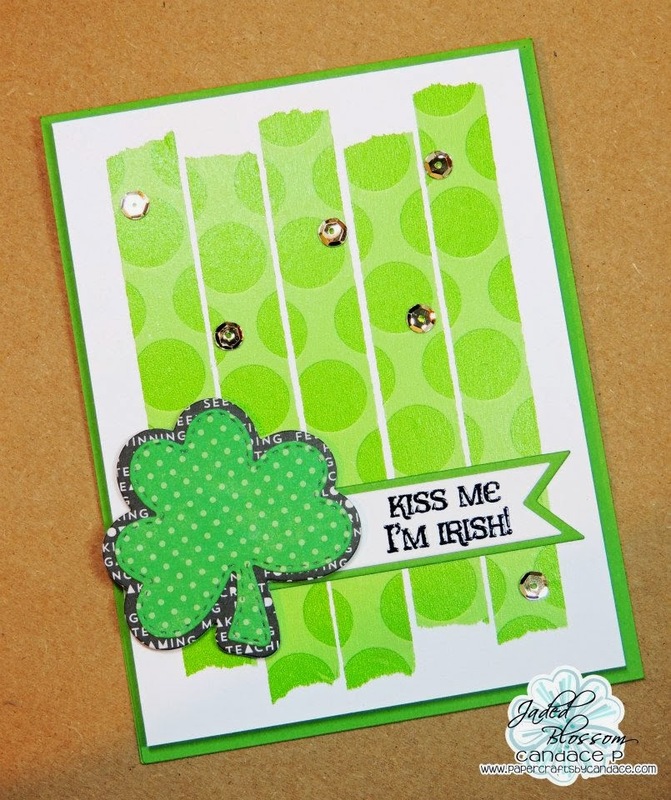 Wow, beautiful cards:) Love the washi tape and sequins-fun idea's! Wow, another release....love what I'm seeing! 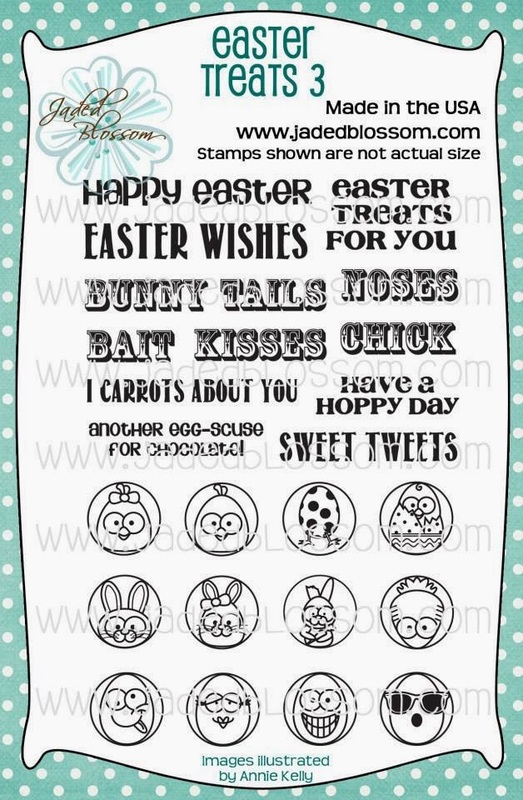 Oh I need to learn how to emboss like this! I love how it looks! I love these cards! Awesome Cards. 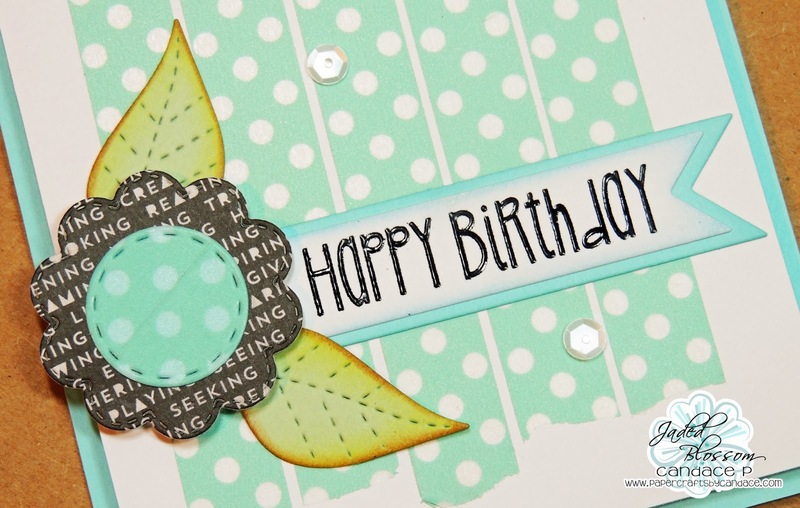 Love the use of the washi tape with the Dies. these are sooo great!!! love what you did with the washi!!! OMG!!!!!!!! Can I steal this idea????? 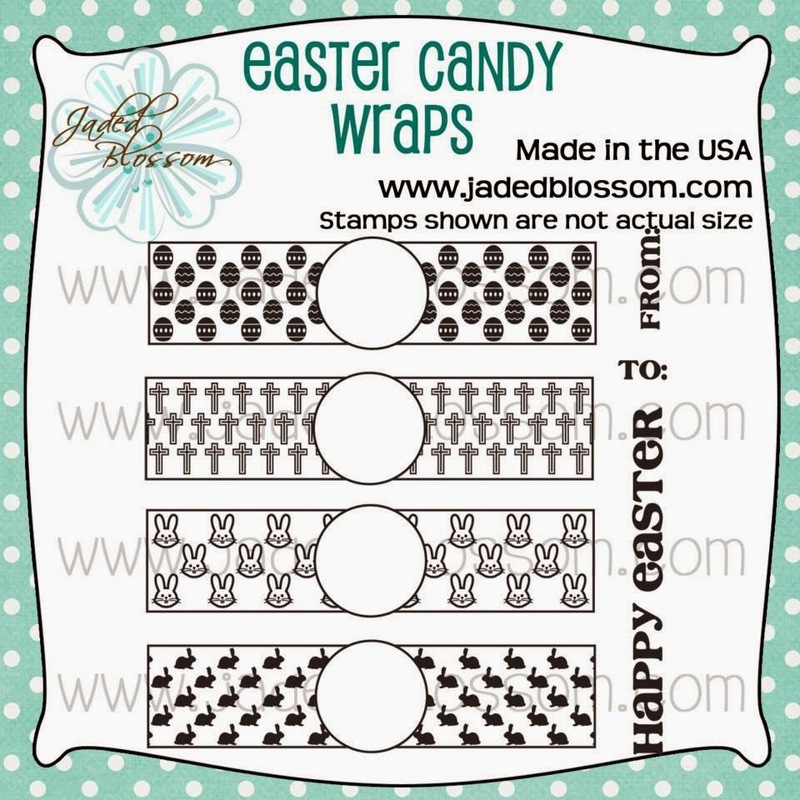 I LOVE LOVE LOVE these and have to make some!! Love the sequin touch too!